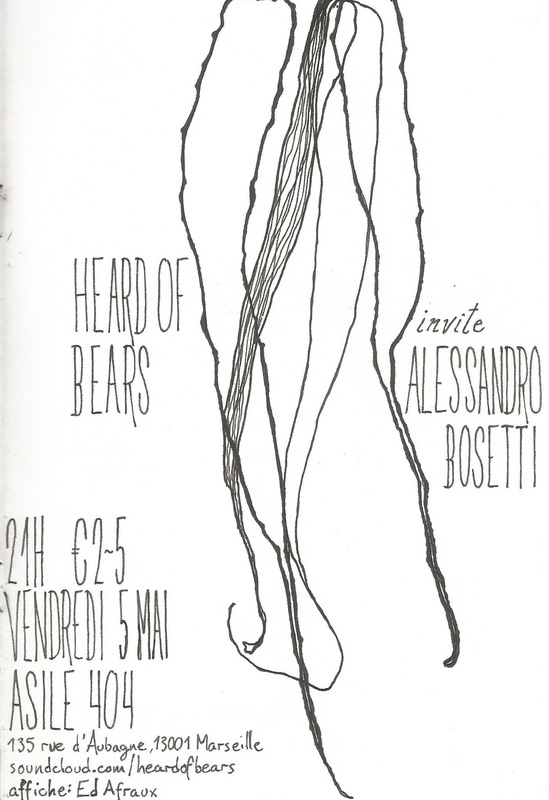 A new set of posters to start off the 2018 edition of the Heard Of Bears invite… concert series at Asile 404, Marseille, France! 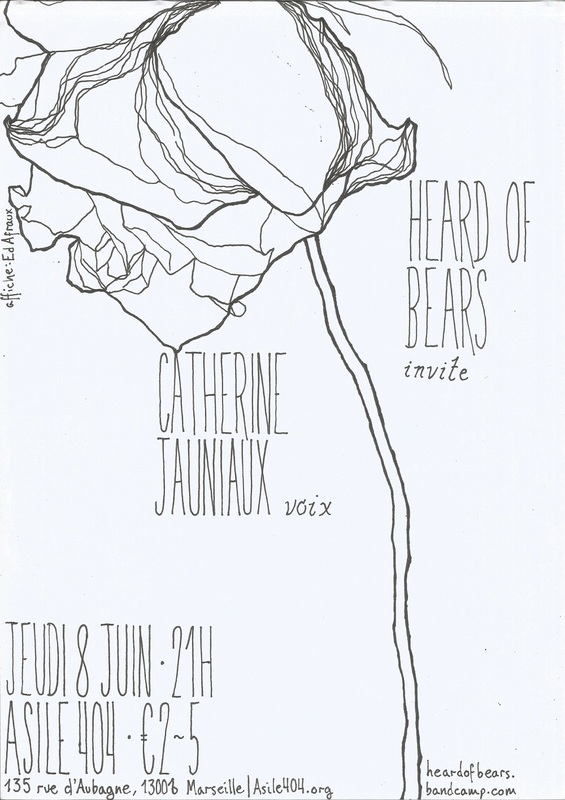 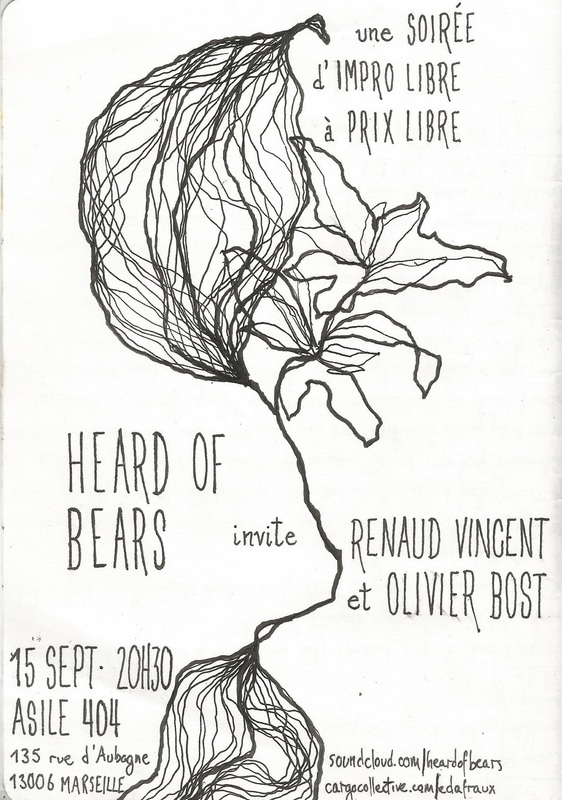 Posters made throughout 2015- 2017 for our monthly concert series, Heard Of Bears invite…, at the experimental art venue Asile 404, Marseille, France. 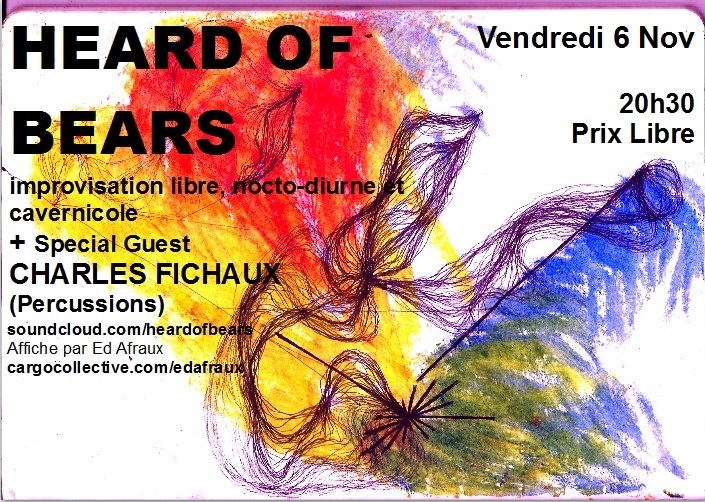 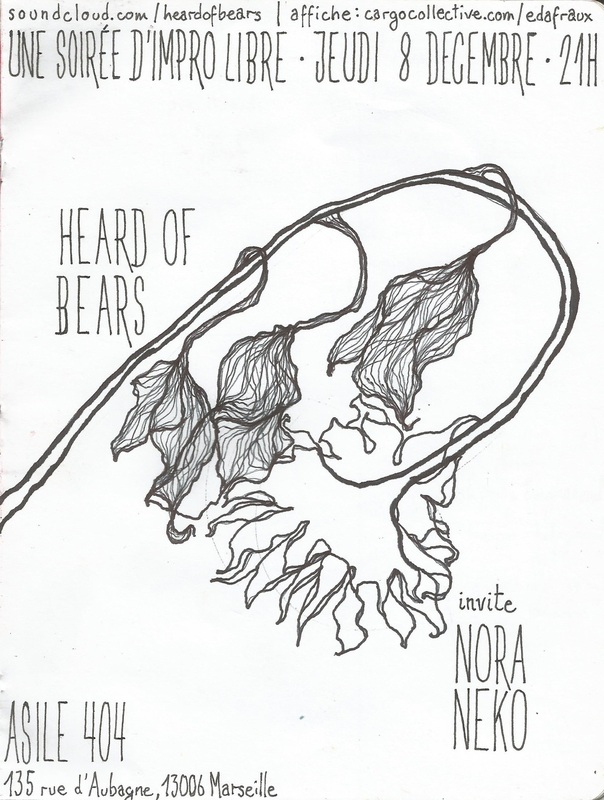 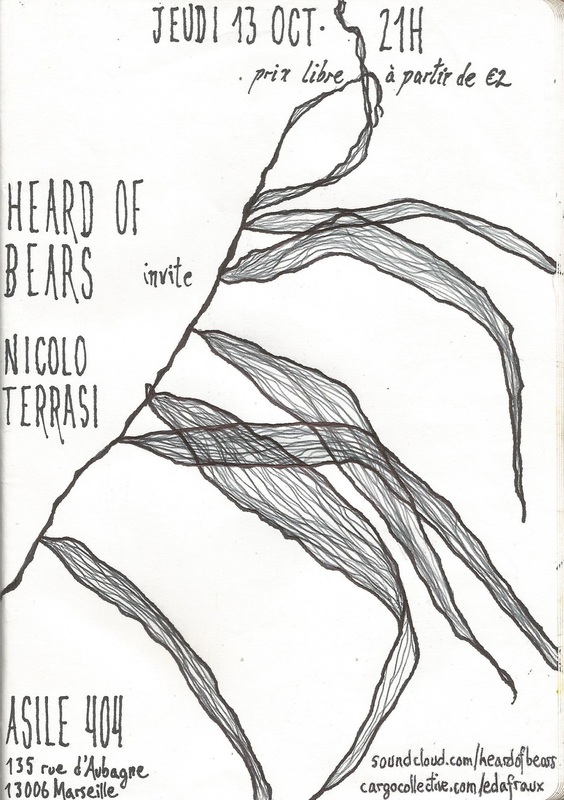 For the concert of improvised music and sound and noise with the collective Heard Of Bears, playing in support of the wonderful and bizarre Japanese accordionist A Qui Avec Gabriel. 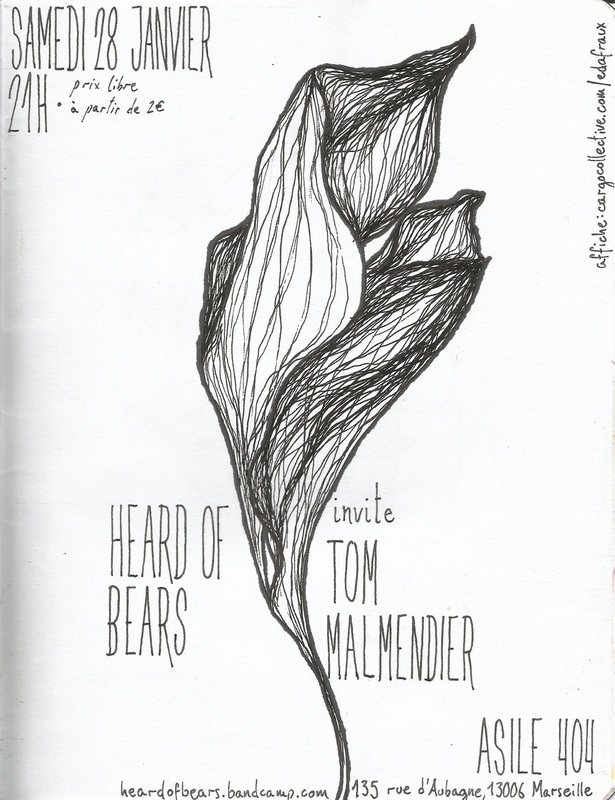 Saturday March 21st, 2015. 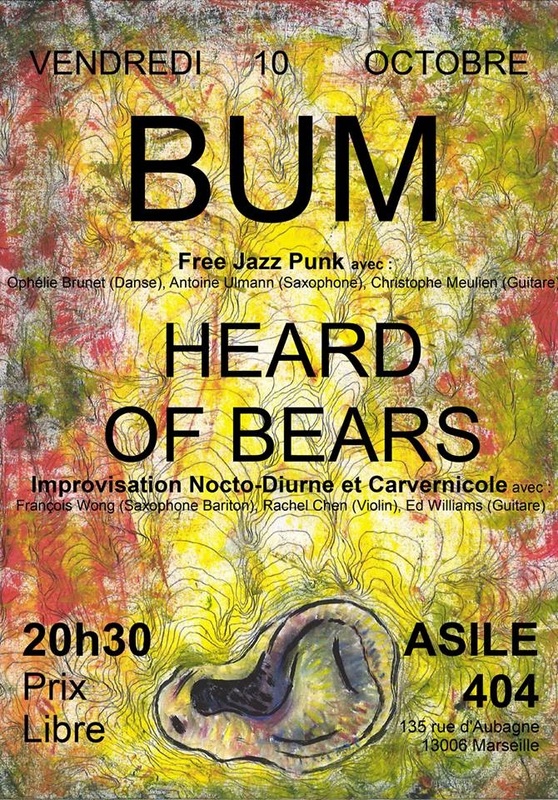 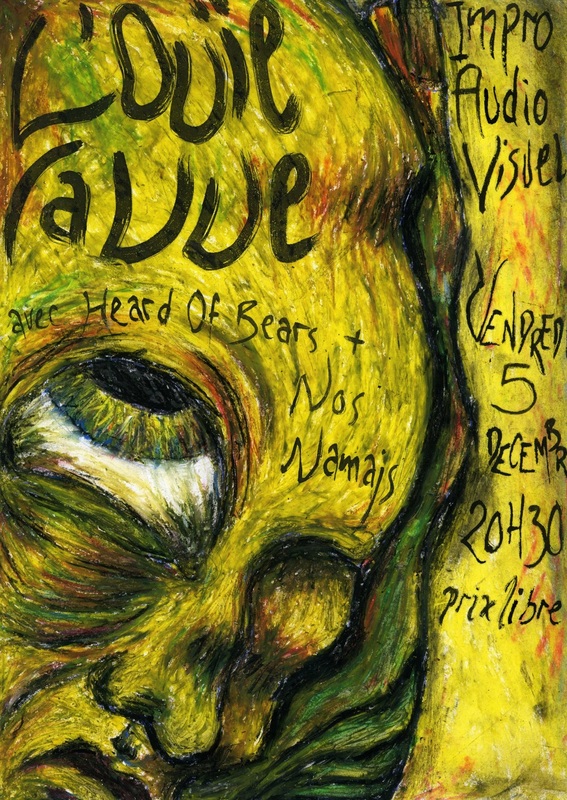 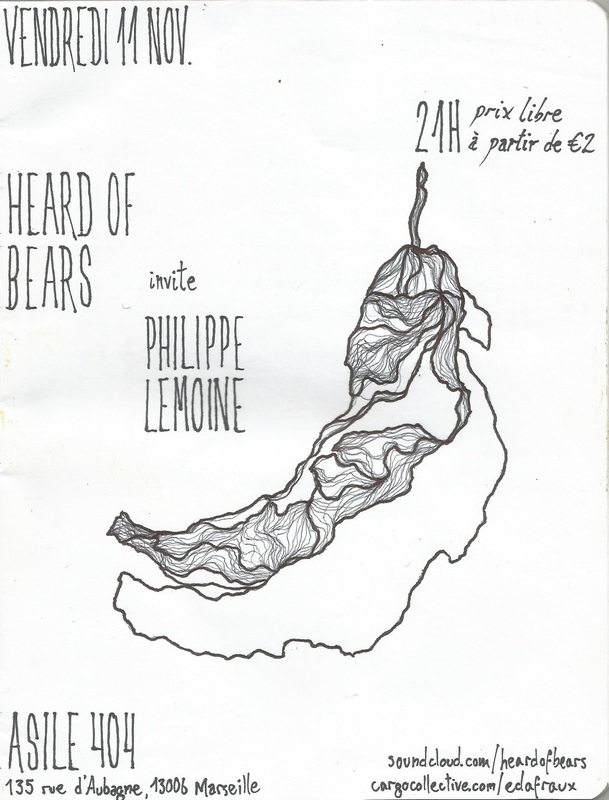 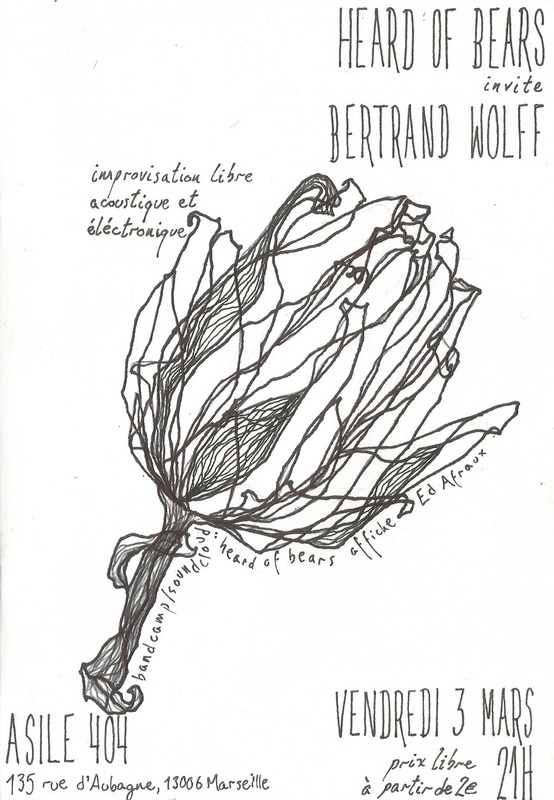 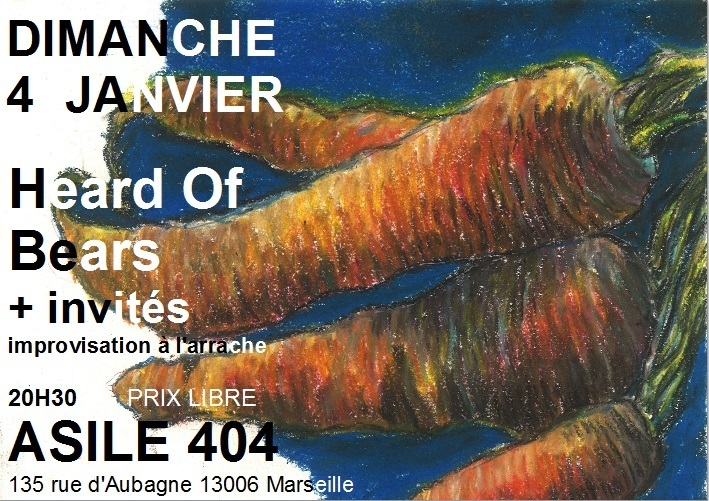 For Alain de Fombelle’s ‘L’Ouie La Vue’ audio-visual and free improvisaiton concert in December 2014 at l’Asile 404, Marseille, with the collectives Nos Namajs and Heard Of Bears. 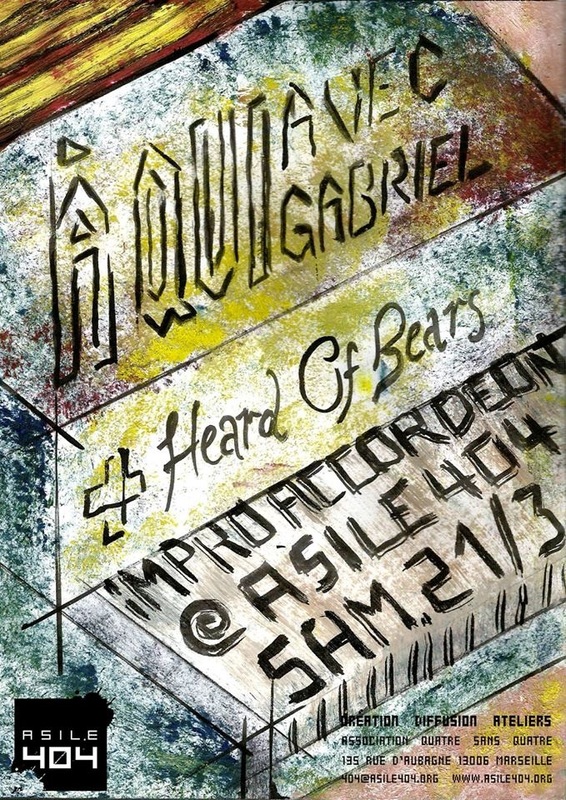 Oil and dry pastels and india ink on paper.